My diet falls in land shared between Paleo and Low Carb. Low Carb is eating food that does not increase your blood sugar and your insulin (improving leptin). My diet is low carb in that I do not eat sugars and starches, and it is Paleo in that I do not eat grains or legumes and intuitively agree with not eating packaged or chemically processed food (frankenfood). I eat high fat, moderate protein and very low carb. I am not afraid eating saturated fat anymore (see The Truth about Ancel Keys). My low carb experience began with the New Atkins and the Protein Power Lifeplan instructions, but now I think it is more accurate to call my diet LCHF, as the Sweeds do. LCHF stands for, low carbohydrate, high fat. 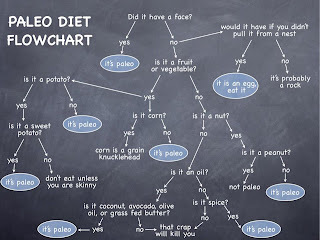 The Paleo diet includes "safe starches" like potatoes and fruit, but I find they don't work well with me for weight loss. Click here for a great info graphic about the harm of carbs and why fat doesn't make you fat, and here for an easy dietary fat guide. It is nothing like the media and health organizations' fat guides, (I will post about how "they were wrong" about fat and the myths about cholesterol in the near future.) 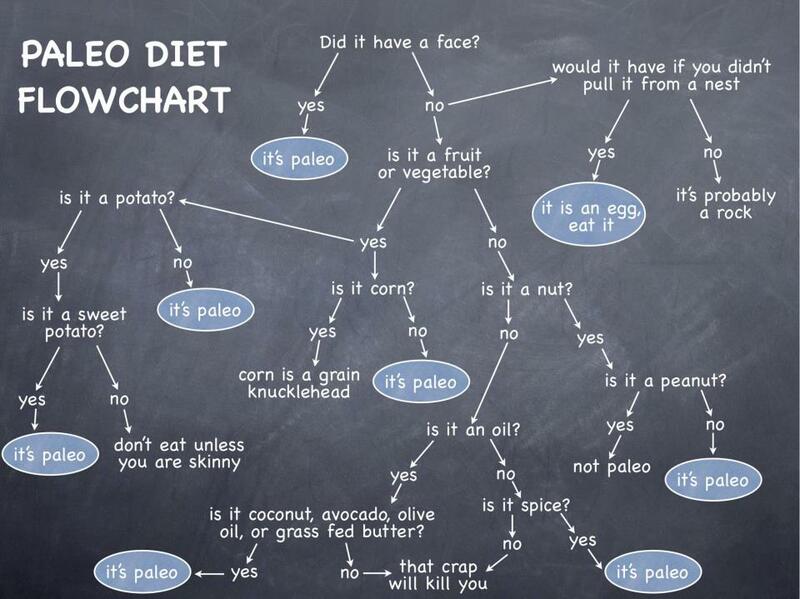 And here is a Paleo diet info graphic. I do not view my diet as a punishment or sacrifice. It is not something I have to do to make up for being naughty, it is a choice, born out of enjoying this food and enjoying the way it makes me feel. It is about self respect, so I also eat when I am hungry. A couple weeks into my new lifestyle I complained on Jimmy Moore's website (an invaluable website and resource) that I was not losing much weight and he commented that that it mattered more that I had just greatly improved my health. I thought he didn't get it and I yelled at him through the computer, “I don’t care about health; I did the work to loose weight”. Then so much for me changed; I have to admit he was right. So happy to hear you are doing well, that is awesome. The important thing is to find what works for you and I would be that my metabolism is much more messed up than yours.I bet you are more active than me too :) I have tried sweet potatoes lately and a bit more fruit but they upset my stomach and add pounds.